Emre Can visited Gwladys Street Community Primary School last week to hand over free tickets for an upcoming Liverpool home game. 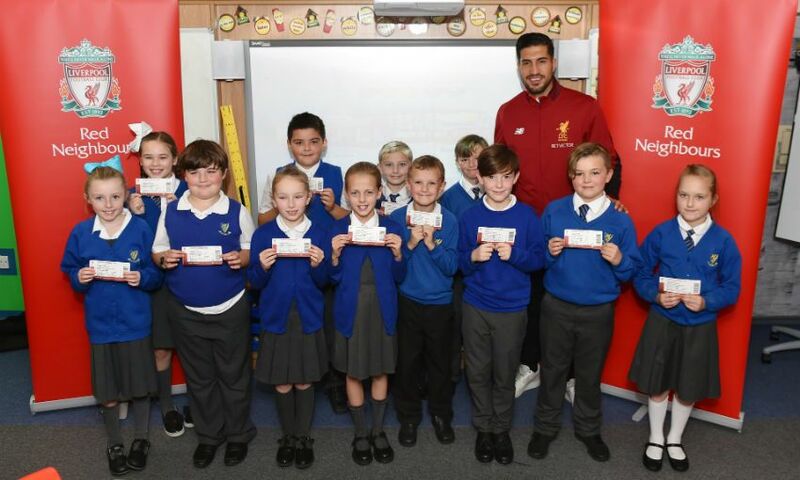 As part of the club’s Red Neighbours programme, the Germany international midfielder presented pupils with 11 tickets to the Premier League clash with Chelsea at Anfield on Saturday November 25. Over 1,000 free tickets will be donated to local schools throughout this season. Each home game sees 55 tickets provided to local schools, with a total of 25 schools - 21 primary schools and four secondary schools - in the L4, L5 and L6 postcodes benefiting across 2017-18. Can said: “It’s great to be able to visit the school and meet the young fans and give them the opportunity to come and see us play at Anfield.